Almost every fashionista nowadays knows that getting your eyebrows shaped is all the rage. Beauty and fashion lovers realize that the look of the eyebrows can change your entire facial appearance. Bolder, thicker brows can create more serious and dramatic expressions whereas thinner and lighter brows can create more innocent and whimsy expressions. Regardless of the facial expression, you’re going for, choosing the proper eyebrow shaping method is important. Fortunately, there are professionals in Apple Valley who are there to assist you. 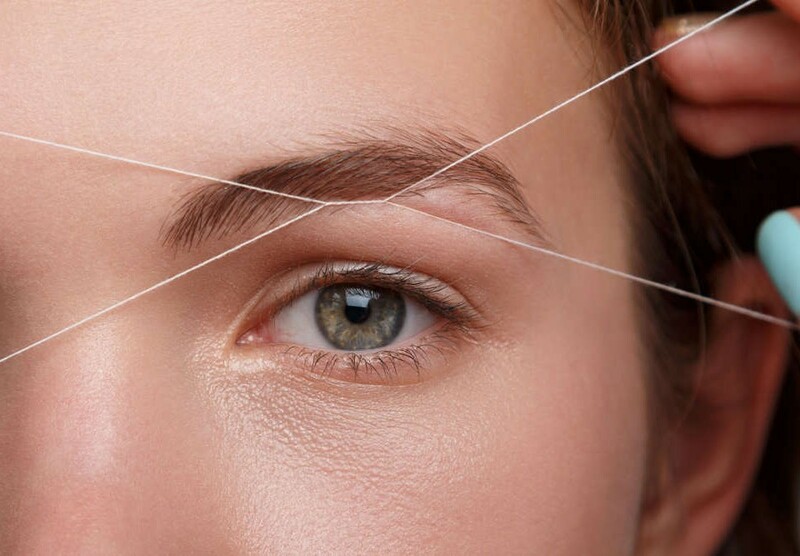 One of the most popular eyebrow shaping methods used nowadays is threading. Threading is an ancient way of shaping the eyebrows that are believed to have originated in Turkey. It’s more often associated with India and other parts of the Middle East, though, since they were the ones who popularized it in the Eastern parts of the world. It has only recently started being practiced in the Western part of the hemisphere, though, which is why most people who live in the U.S. and Canada view it as a newer method of eyebrow shaping. The way that threading in Apple Valley is conducted is by taking loops of cotton thread that are twisted together and then threading them over the lines of the eyebrow hair that you want to have removed. This type of eyebrow shaping provides some of the most precise shapings, but perfecting the art of threading is usually extremely difficult, which is why it’s usually best for people wanting their eyebrows threaded to consult with a professional in Apple Valley. Not only does having your eyebrows threaded by a professional in Apple Valley help you achieve the exact shape of the eyebrow that you desire, but it also has plenty of other benefits as well. First of all, threading is much healthier for your skin simply because it doesn’t require you to have any chemicals put on it. Additionally, threading helps ensure that you don’t create any ingrown hairs, as can oftentimes be done during traditional plucking when the entire hair isn’t plucked from the root. Getting your eyebrows threaded by an Apple Valley professional is also usually the best option if you have sensitive skin or a low tolerance for pain. Because threading uses no chemicals, you don’t have to worry about any negative reactions. Plus, it only takes approximately 15 minutes to have both eyebrows completely threading, so if you do happen to feel any minor pain, it won’t last long.